The James and Gahr tradition began in 1970 when Donn James entered into partnership with Jesse Gahr, in St. James. The establishment was renamed James and Gahr Mortuary. In 1971, the Blackwell Funeral Home was purchased in Salem. In 2000, a third location was opened in Rolla. The mortuaries are owned and operated solely by Donn James family. In 1974 a trust company was formed. 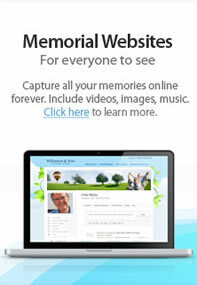 The trust allows for the purchase of pre-arranged funeral services through monthly payments. In addition to the other quality services offered by James and Gahr Mortuary, we also provide cemetery services. Purchased in 1983, North Lawn was the first of its kind in the area to incorporate a cemetery and mortuary, simplifying arrangements. This combination means peace of mind for your family by guaranteeing a quality service from the visitation to the graveside. The compassionate care-givers at James and Gahr are committed to serving the people of this community with respect. Looking to the future and building a better tomorrow is what caring service is all about at James and Gahr Mortuaries. If you have called James & Gahr on a weekend or after hours, you have probably had the pleasure of speaking with Leeanna. She has been on staff for over 7 years. Leeanna lives in Salem, Missouri with her husband Aaron, and two daughters, Skylar and Riley. She also works for Dent-Phelps R-3 School. Leo works at the Salem location. He works visitations and funerals and you have probably seen him around the cemetery and mowing at the funeral home too! He has been with James & Gahr for 9 years and wears a lot of hats! He lives with his wife Sue,in Salem, MO. They like to travel and they enjoy spending time with the grand kids. Kristain "Cowboy" is the son of Donn and Connie James, he is a 2014 graduate of Salem Senior High School. He has worked weekends and summers at all locations. He has work many summers mowing and weed eating the North Lawn Cemetery. He is going to attend Fontbonne University in St. Louis, Missouri in the fall of 2014, where he will play baseball. Hopefully returning to the "family" business after college. Daughter of Tony and Jan Viessman, Julie has lived in Rolla since 1971. Married to Rusty MacCash since 1997. She has two wonderful sons, Ryan and Adam Dillon who both currently reside in Washington DC. She is a 1980 graduate of Rolla High School and attended University of Missouri Rolla. Julie owned and operated Forum Cleaners for 21 years, the former Director of the Phelps County Retired Senior Volunteer Program. She is currently President of Advisory Council at the Rolla Nutrition Site, and volunteers at the Rolla Apartments. She loves her four legged kids which include 5 dogs and 3 cats. Her hobbies include spending time with family and friends. Kristin is the daughter of Donn & Connie James and Clifton and Ruth Williams,she is a 1998 graduate of Salem High School. Kristin lives in Rolla and has two children, Jaden who is 11 and Cash is 6. They enjoy sports and going to the river in the summer. Jaden loves gymnastics and attends Flip Flops. Cash loves his pony "Tony" and rides in the Salem Saddle Club Shows. Kristin enjoys crafting, and is a great baker, and foodie. Her gooey butter cakes are well know around town. Kendra is a 1997 graduate of Salem High School. The daughter of Sandy Brinkley and the late Mike Brinkley she has lived in Salem her entire life.. She has two son's, Baylor and Lawson Petty. They enjoy all sports and spending time together as a family. Kendra is pretty crafty and enjoys making items for their home. Kendra is very creative when it comes to her job also. 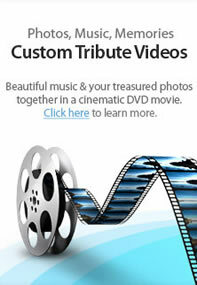 She makes fantastic Memories of a Lifetime videos that are given to each family (at no charge). She will complete her Funeral Director Apprenticeship in October. Benjamin was born in Rolla. His parents are Carol and Gary Lunceford. He is a 2003 graduate of Belle High School, and attended college in Houston, TX for Automotive Technologies. After moving back to Rolla he went to work at Denny Ford until 2011. He than went back to school to obtain his Peace Officers License and now works full time with the Phelps County Sheriff Department. At James & Gahr his duties include transportation and vehicle cleaning and detailing (which he is very good at). Steve lives in Salem with his wife Laura. They enjoy horseback riding, and are very active in the Dent County Saddle Club. He is the announcer at the horse shows. Donn is a graduate of Vienna High School; Lincoln University in Jefferson City; Drury College in Springfield where he earned a Masters Degree in Secondary School Administration, and a 1970 graduate of Kentucky School of Mortuary Science, ranking third in his class. He is a former Basketball Coach. He bought the St. James funeral home in 1970, Salem in 1973 and built Rolla in 2000. Donn lives in Salem with his wife Connie. They have Donn James Quarter Horse Farm, he has instilled the love of horses with his grandchildren. Ralph has been with James & Gahr since 2006. A retired Highway Patrolman, Ralph lives in St. James with his wife Clara. They enjoy traveling and spending time with their only grandson Zach. Ralph is an amazing craftsman. He has done several remodels for his family and friends. As a matter of fact when your at our St. James location take a look at the beautiful crown moldings and trims, Ralph and his friend Skip DeSalem did that for us. Steve Lorts works part time on our transport team. He works full time with the Phelps County Sheriff Department and lives on a small farm outside of St. James, where he and his wife Donna raise miniature horses. They have one son Taylor who is proudly serving our Country in the United States Air Force. Taylor is newly engaged to Rachael. Steve and Donna are eagerly awaiting the wedding date. Steve also enjoys making homemade wine.